Ssssshhhhhh! I secretly joined a 3rd whisky tasting group in Mumbai. It is all very hush hush! A decidedly male affair in rarified atmosphere and swirling cigar smoke. And for our first evening together whiskies and cigars? So what did the gentlemen and I discover in our ‘adult’ explorations? Water – Opens it up a little and adds some zing! Sigh… not a promising beginning… after a very berry sherry nose, it was on the edge of being off on the palate. And who wants a long finish if it isn’t utterly delicious? I felt rather embarrassed to ask our host if he would be horribly offended if I dumped the rest of my sample to move on to the next whisky. Let’s just say I wasn’t alone in doing this. Double sigh… I remembered the 21 year being bit insipid from an earlier tasting. This experience did not change my impression. Note the lack of notes. Uninspired. Completely. Again… just wasn’t the whisky for me. I was beginning to feel like Goldilocks and the three bears. This one is too woody, this one too wimpy… Would I find a whisky that is juuuust right? Nose – Elegant, aged wood, bursting with character and history, soft prunes, light drizzle of honey, not overly sweet – just enough, as it continued to open shifted to raisins, orange peel, then a little light mint, and then the dry sweet spices of cinnamon, cloves and cardamon emerged – heavenly! Finish – An absolutely gorgeous finish. Simply superb! Holy mother of @$!! They say good things come to those who wait. This was an absolutely brilliant example of just that! In short, it was a remarkable whisky in a completely different category. There was simply no comparison with the earlier two whiskies. This limited edition bottle was distilled in 1966 in a second fill Spanish oak sherry cask, bottled in September 2004. Had an absolutely perfect balance of sherry elements softened by maturity into a deep, complex, exquisite dram. In fairness to the other offerings, I suspect the Glengoyne may have been spoilt by the cork which crumbled completely and had to be carefully poured to not get bits mixed with each sip. 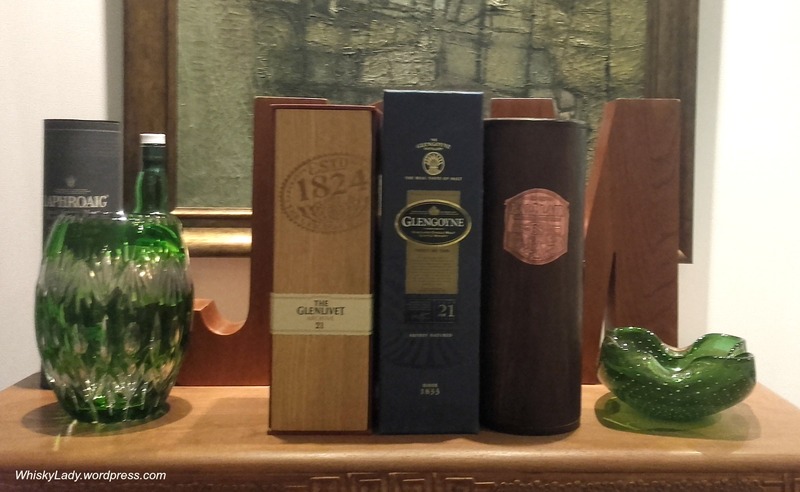 Glenlivet… perfectly pleasant mass offering. Just not my tipple. 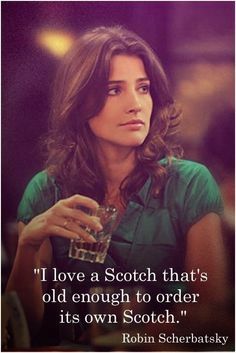 But the Balblair? One of those moments where I knew just how privileged we ALL were to experience such a whisky. Believe it or not, after the Balblair 38 was polished off (Noooo! )… A Laphroaig 21 year was opened!! Suffice it to say, it was a perfect smokey peaty mature close to our malt evening. I would be hopeless at doing justice to the cigars… the gentlemen puffed away with desultory enthusiasm and I quite enjoyed my ladylike cigar carefully selected by our host for a complete neophyte. All in all an exceptional evening and I look forward to the next one in a couple of months! This entry was posted in Highland, Scotland, Speyside and tagged Balblair 38 year, Glengoyne 21 year, Glenlivet 21 year by Carissa Hickling. Bookmark the permalink. I could do with meeting a few gentlemen of means to buy such fine – and pricey – whisky for me to taste! I just wish there were a few drops of the Balblair 38 still around! !